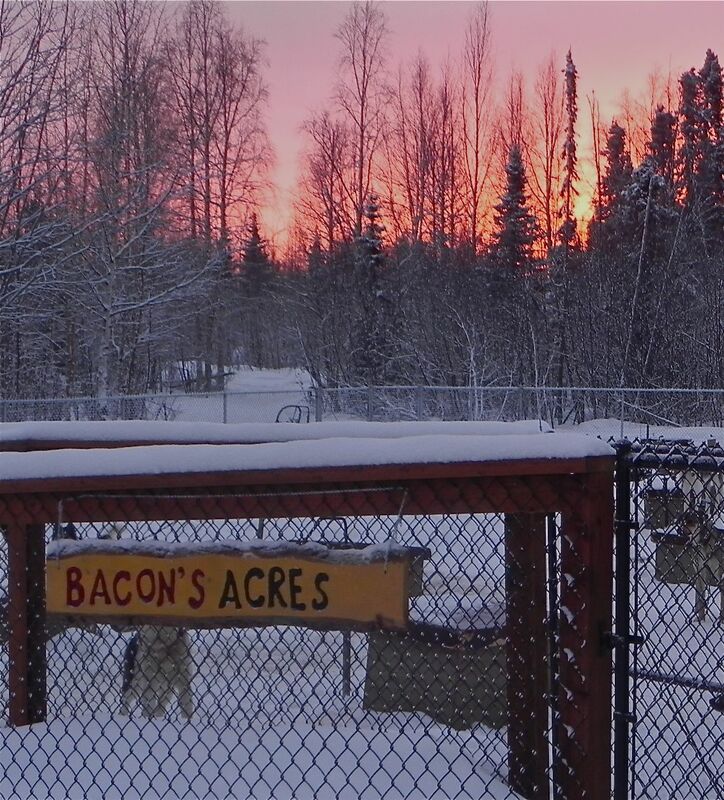 What an amazing day in the Matanuska Valley! We went to visit Kristin Bacon and her seventeen dogs, seven of who are under a year in Big Lake. What a wonderful crew! 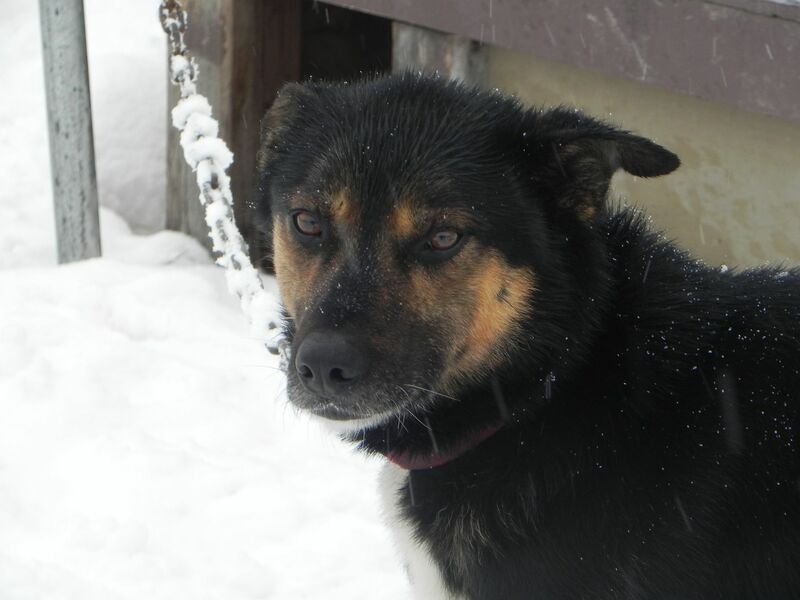 Kristin is relatively new to mushing, but not huskies who she has loved for years working with other people’s dogs and working the checkpoint in Skwentna, but when shortly after the race last year, she brought home Libby, already bred she knew her life was changing and all for the good. A couple pets turned in one big happy kennel. I couldn’t name which one I loved most, though Pirate could steal your heart and Yashnomi was a huge flirt. Kristin is a Physical Therapist and works with special needs children all over Alaska. Most of the time she goes to her clients to work with them, but those that can she invites to the kennel to enjoy the dogs and sometimes take a ride. Kristen has seen a real difference in the children. After spending time with the dogs the often withdrawn and quiet faces fill with smiles. She hopes to one day extend the kennel into a healing place for children with autism and other disorders. Kristin also has her eye on the Iditarod in a couple years, but for now is enjoying the magic of running with her new family. She will; however, be back at Skwentna Checkpoint keeping people warm and welcome as she has for several years now. I remember two years ago when Dee Dee Jonrowe helped to raise money for “A Dog for Logan,” an autistic boy in Unalakleet who has bloomed in the companionship of his new dog. It is a true gift that these dogs have to change lives in so many ways.